Are you an adult that used to do tumbling, gymnastics, and cheer, or are you wanting to learn gymnastics for the first time? Extreme Gymnastics offers a comfortable environment with experienced coaches to help you on your gymnastics journey. Push your limits and discover your inner Ninja! Our adult gymnastics class will challenge you every single day! Train every event in all around gymnastics or focus your workout solely on tumbling; the choice is yours! Either way, you’ll soon realize you’re capable of more than you think. Gain flexibility and build muscle! Did you know that gymnasts, pound for pound, are considered the strongest athletes on earth? 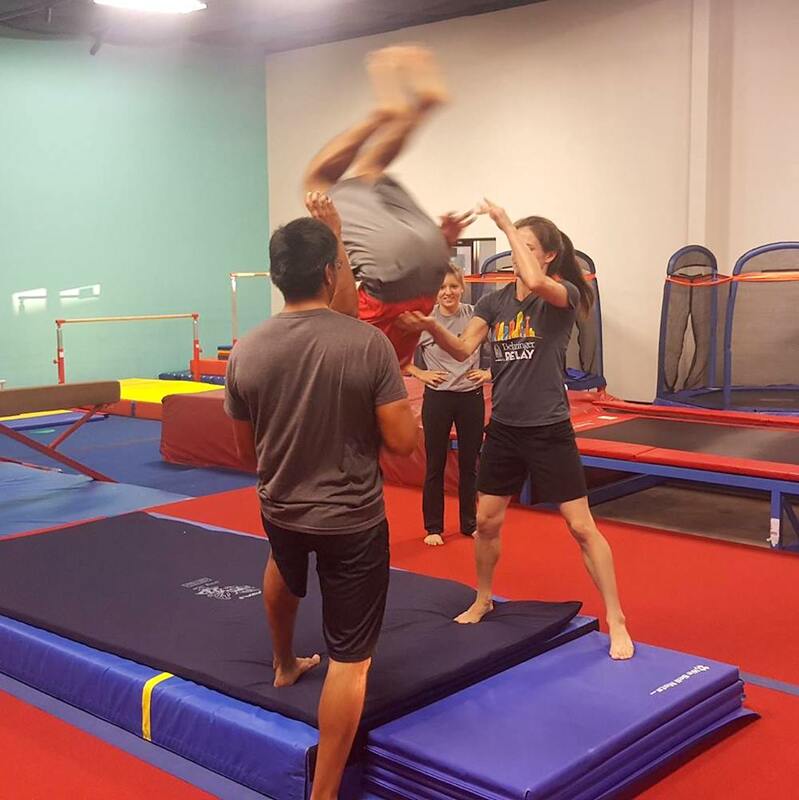 Our adult ninja gymnastics class focuses on core elements like proper form and stretching while developing a strength you never knew you had. Contact us for a FREE introductory lesson! For 3 year olds, please include birthdate. The goal of Extreme Gymnastics is to help children reach their full potential in gymnastics and in life. To achieve this, we offer a unique program that offers curriculum in nutrition, leadership training, and mental training as well as gymnastics.